Venezuela’s Hugo Chavez has been reelected. This is a fact. What does it mean for the United States, Latin America, and the rest of the world? 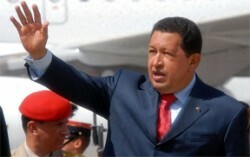 First of all, Chavez will continue his economic and resource aid to those countries friendly and allied with Venezuela. In 2009, Venezuela established what is called the Bolivarian Alliance for the Peoples of Our America (ALBA). These countries include Antigua and Barbuda, Bolivia, Cuba, Dominica, Ecuador, Nicaragua, and St. Vincent and the Grenadines. In February of this year, Surinam and St. Lucia joined ALBA. The main point of ALBA is a counter-weight to the United States. Through ALBA, all of these countries exchange resources and money with each other, and the intended purpose of this economic alliance is to make sure that the United States has “no influence” in these countries. One small example of this, Venezuela delivers 96,000 barrels of oil a day to Cuba at favorable prices so that Cuba will not have to worry about its energy needs, nor go on the open market. To make sure that this economic alliance has any teeth, both Venezuela and Ecuador signed an agreement in 2010 establishing the Sucre as the new trading currency between the two countries instead of the U.S. dollar. Now that Hugo Chavez is back in power, this alliance will not only not be fractured, but it may grow. Second, trade and an even closer relationship between Venezuela and China will develop. That relationship has already become a major connection. Before Hugo Chavez took power in 1999, trade between Venezuela and China only amounted to U.S. $500 million a year. As of 2009, that trade connection now amounts to U.S. $7.5 billion a year. Venezuela, in fact, is the largest investment destination for Chinese companies and government projects in all of South America. In 2009, the Chinese government helped build Venezuela’s first cellphone factory. In exchange, China gets 450,000 barrels of oil per day. The Chinese government, through a government-owned company, the China Railways Engineering Corporation, is helping to modernize Venezuela’s railway system. In return, the China Railways Engineering Corporation gets 40 percent ownership on Venezuela’s railway system while the Venezuelan government gets the rest. Through combined cooperation between China and Venezuela, Venezuela launched a space satellite, Venesat 1, to broadcast Venezuelan government TV throughout all of Venezuela and South America. Additionally, Venezuela had received 29 advanced Chinese Karakorum-9 jet fighters, and is receiving all kinds of military equipment from China. And of course, Venezuela now has numerous cultural, academic and scientific exchanges with China. Finally, Venezuela under Hugo Chavez is not only trying to diversify the country’s economy further, but is trying to export the whole idea of his socialist Bolivarian Revolution. Venezuela is also doing business on a large scale with Russia and Iran. Russia has invested U.S. $30 billion into Venezuela’s Orinoco Oil Company. The Venezuelan government and the Islamic Republic of Iran have close relations. Both countries exchange natural gas and oil technology, and Venezuela is one of the few countries engaged in ignoring the United States-led embargo of Iran’s oil. Chavez is the only country in South America to support Iran’s development of nuclear power, and Venezuela continues to invest in Iran. Then there is Hugo Chavez’s concept of the “Bolivarian Revolution.” In ideological theory, the socialist Bolivarian Revolution helps other “democratic, socialist movements,” and aids all “anti-imperialist, anti-U.S.” parties and movements throughout Latin America. We do not know how much money Hugo Chavez gives to all those socialist and revolutionary movements the Venezuelan government supports. We know that Hugo Chavez’s United Socialist Party has donated funds to other parties and movements throughout Latin America such as the Communist Party of Cuba, Argentine President Cristina Kirchner’s Judicialist Party, the terrorist Communist Sendero Luminoso (Shining Path) in Peru, Panamanian Balbina Herrera’s Democratic Revolutionary Party, the Sandinista National Liberation Front in Nicaragua, the Farabundo Marti National Liberation Front in El Salvador, the Popular Revolutionary Army in Mexico, the Landless Workers’ Movement in Brazil, and the list goes on. Given Venezuelan Hugo Chavez’s previous record as ruler of Venezuela, and given what he can do for the next six years, the United States, the American people, and America’s allies are in real trouble!